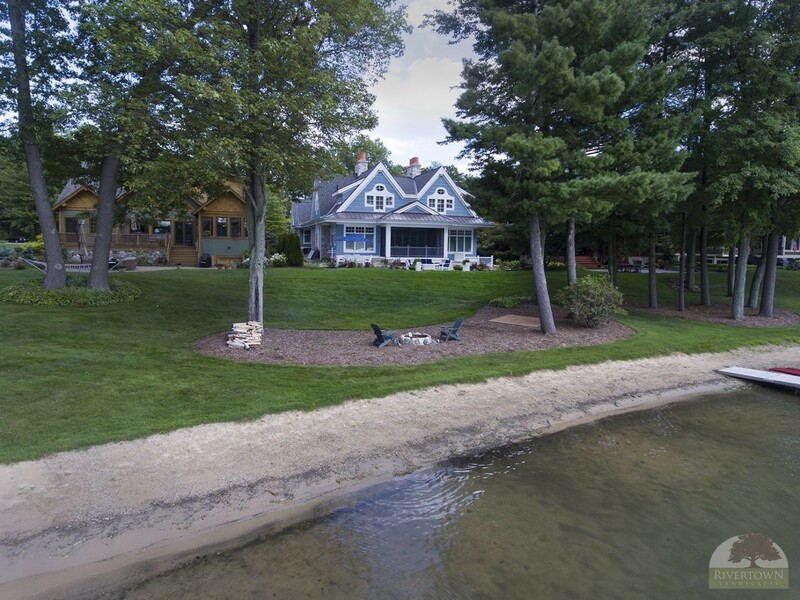 Nestled snuggly in between two neighboring houses, finding enough space for all of the desired outdoor rooms on this lake front lot was the main challenge on this craftsman inspired design. Chief among the many desired elements were a hot tub, a fountain feature, and of course patio space. In addition to incorporating all of these elements, maintaining a sense of privacy was also one of the main goals. 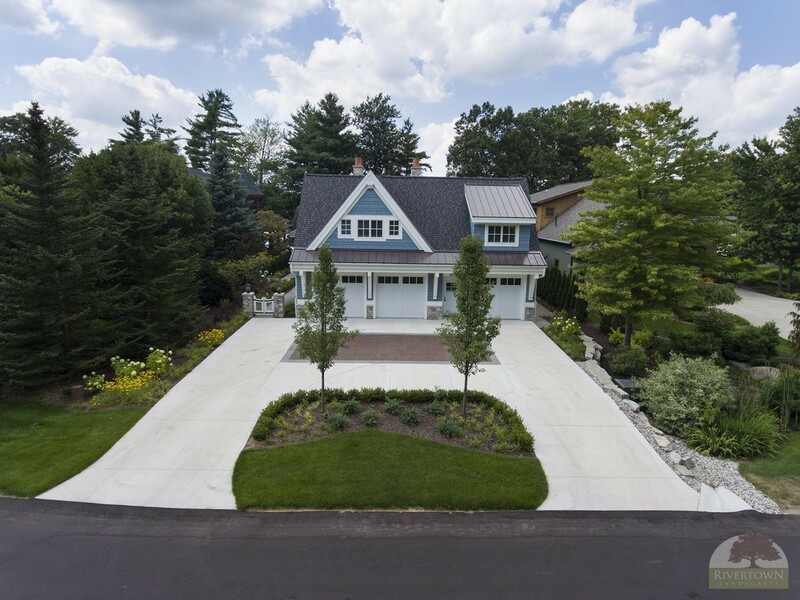 With only eight feet of space to work with on both sides of the home, Rivertown was able to create a comfortable walkway around all sides of the home while maintaining a very private setting through the use of columnar evergreen hedges. Stone entry piers with a garden gate lead visitors down a bluestone walkway to the front entry courtyard. 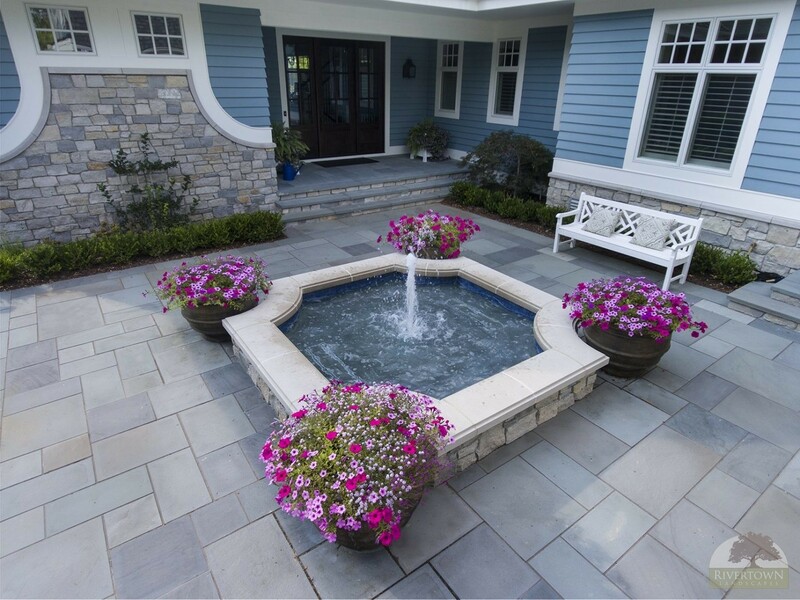 Here, they are greeted by a custom fountain accented with seasonal planters full of colorful displays. 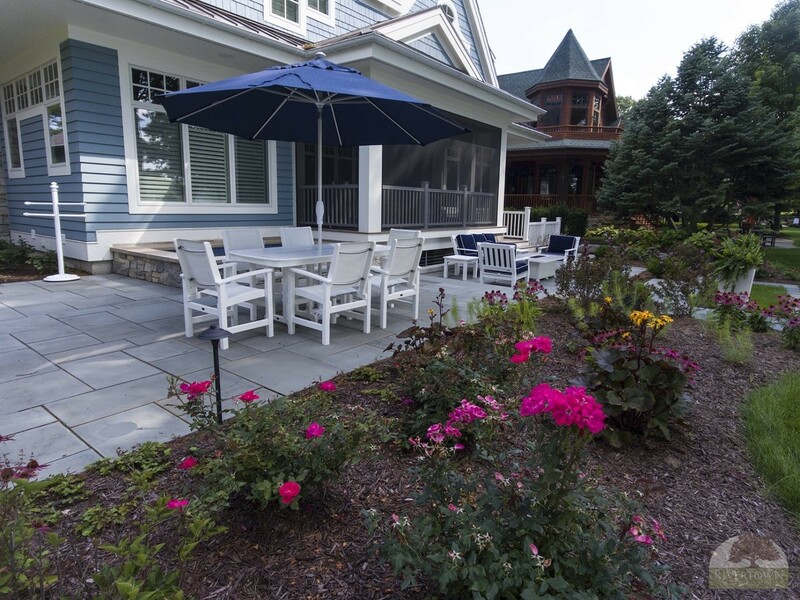 This courtyard also offers a private retreat from the more public lake front patios. 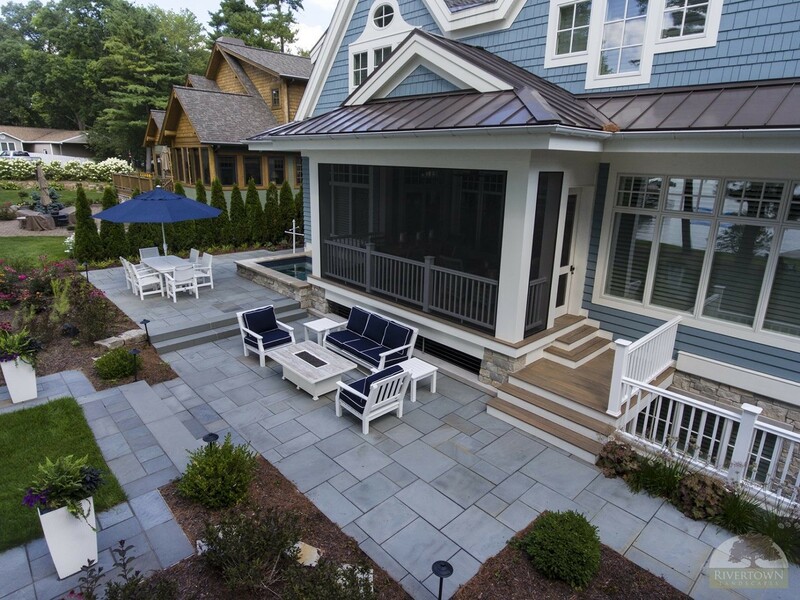 These bluestone patios provide ample room for relaxing and dining, all while taking in the beautiful lake front views. Finally, a custom hot tub allows the owners and guests the ultimate relaxation experience on the back patio. 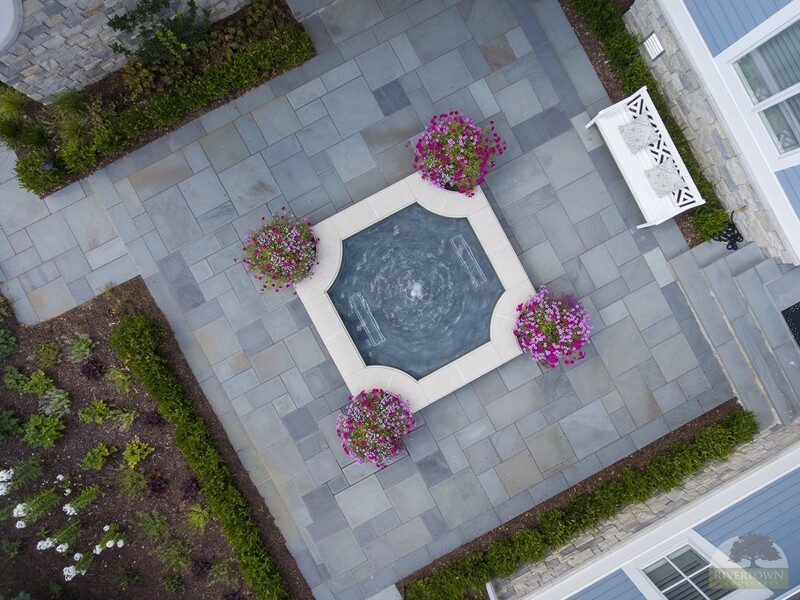 The end result is another extraordinary design incorporating all of the desired elements in a thoughtful, yet functional garden.